Posted by Candie Kates on Sep. 24, 2016 16:10:25. Android now becomes the most popular smartphone operating system. One big reason to its success is the number of apps available in Play Store. You can do a lot of tasks with the device for work, fun or games. However, with the time moves on and the number of installed apps increases, the phone starts to lags or run very slow. The truth is that there are many reasons for slowing the phone. You should fix them as many as possible. Below are a few suggestions to quickly solve the problem. I am sorry to inform you that the background with fishes swimming on the seabed has an important impact on the system as well as the weather widget. Remove all the widgets from the screen and change the screen saver with a more classic one. Every app will occupy storage space and consume internal memory. If there were too many apps on the phone, then it will dramatically slow down the performance. So it is highly recommended to delete those apps that you don't use any more. Or move them a SD card if there was one on the phone. 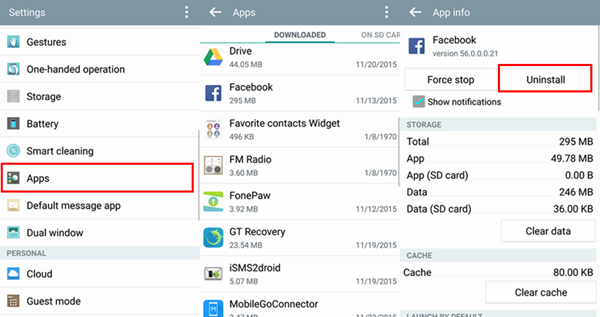 For stock apps, you have to root your phone to remove them from your phone.. 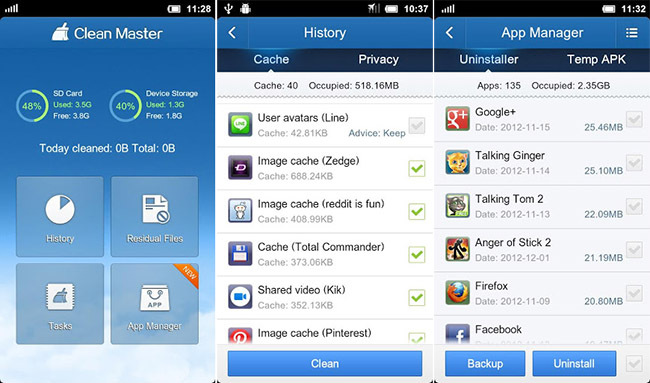 There are many apps that runs in background in default, such as Facebook, WhatsApp, Twitter etc. Those background apps are still running and eating up memory sharply. The phone will become laggy if the number of such apps goes bigger. 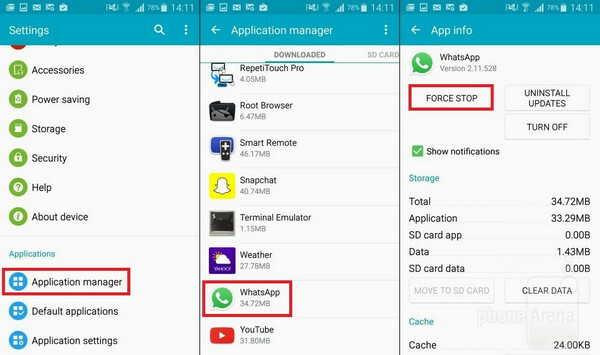 In fact, you can easily stop those apps by going to Settings -> Apps and selecting Force stop to completely disable them. Then the memory taken by them will be released and there are more for the running apps. No matter what kind of phone you are using, one fact for sure is that the vendor will keep pushing updates to their phone for security reasons or improved user experience. This is a quite good policy for new phones to pitch up the bugs. However, this is a bad evil for phones that were bought after a year. Because new update usually grabs more storage and consume more memory for new added features. However, this has little effect for those phones that were purchased no more than a half of year. Each app will general tmp data when it is running. As the number of installed apps goes up, more storage will be taken by those junk data. And it will also slow down the overall performance of your phone. However, it will be hard to identify those junk files by your own. The solution is to use third-party cleaning apps. They will delete all of them in batch with only a single tap. Generally, it saves a lot of storage each time it runs. So I suggest doing system clean at weekly basis. There are blogs and newspapers that said changing the stock ROM would speed up the device. I do not recommend it because if you are not experienced, you could risk damaging your phone permanently. The suggestions I listed above are fairly enough to make the phone run much faster. One thing you should keep in mind is that don't buy any app for this because there is no single app that could do all of these for you.